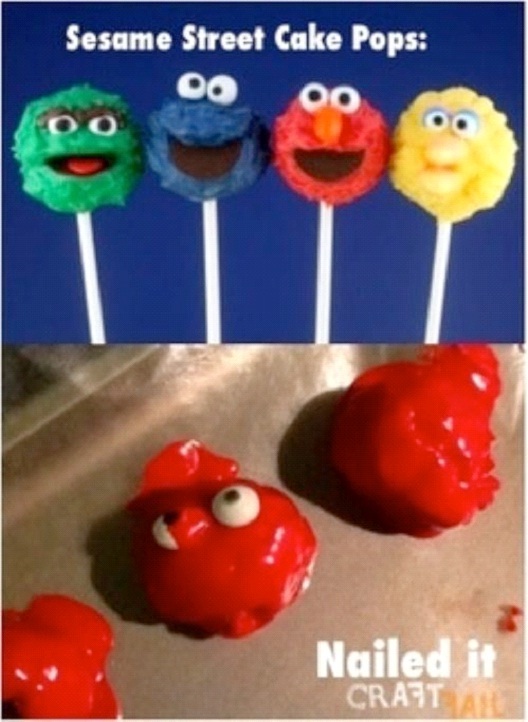 These Sesame Street Cake pops were a miserable fail. They look nothing like the pops on Pinterest, that show Big Bird, Elmo, Oscar The Grouch, and the Cookie Monster, in intricate detail. Instead, we've got red blobs with eyes, that we can only guess were intended to be Elmo pops.